The Zeta Chapter of Alpha Xi Delta was installed at Wittenberg University on May 11, 1904 by Alpha Xi Delta National President Edna Epperson. Seven women were founding members of the Zeta Chapter, and at the time, only 450 students attended Wittenberg. 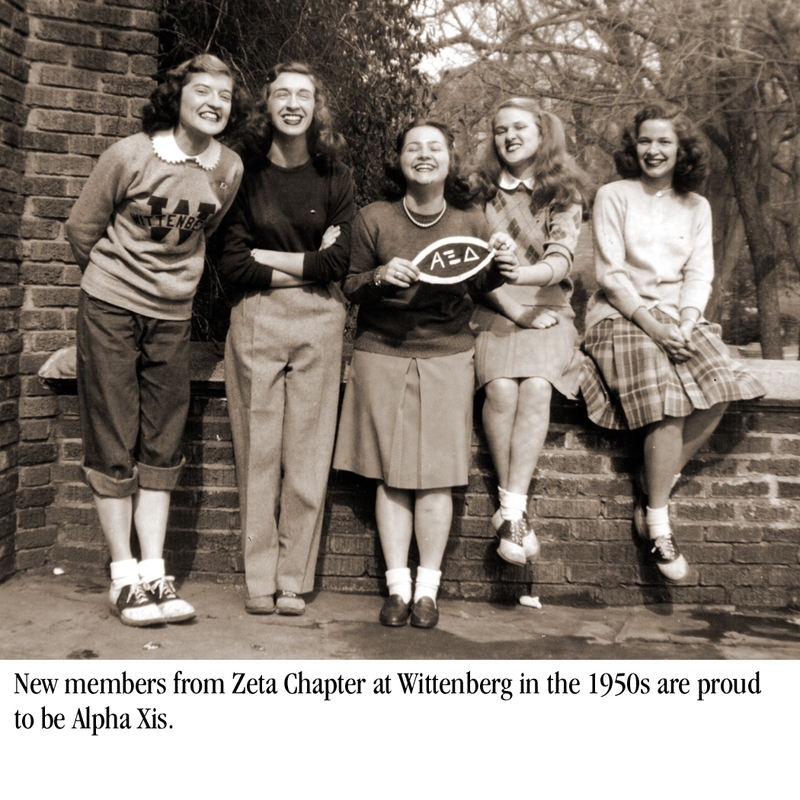 Alpha Xi Delta was the first NPC sorority at Wittenberg. At Zeta Chapter’s founding, Theta Sigma and Tau Delta Theta were two local sororities on campus. The Zeta chapter of Alpha Xi Delta was proudly reinstalled at Wittenberg University on May 1st, 2016 by the Alpha Xi Delta National President Michele Herbst Evink. The reinstallation of the Zeta chapter made Alpha Xi Delta the sixth sorority on Wittenberg's campus.